Pre-sale album bundle starts this Wednesday April 10 at 10am LOCAL TIME and ends on Thursday April 11 at 10pm LOCAL TIME or until these tickets are sold out. 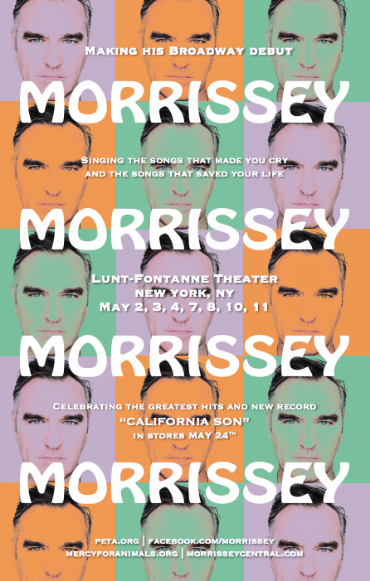 Announcing Morrissey's 'California Son' Broadway Residency! TICKETS ARE SOLD OUT. THANK YOU EVERYONE.